announcing three new Super City Cops novellas! Ever since The Case of the Claw was released in 2011, I've had people ask when I was going to write more adventures of the cops in Super City and how they deal with all the costumed heroes and villains in town. Those people were generally unsatisfied with me only doing short stories ("Stone Cold Whodunit" in With Great Power and "Send in the Clones" in The Side of Evil/The Side of Good), but now I have good news for them! 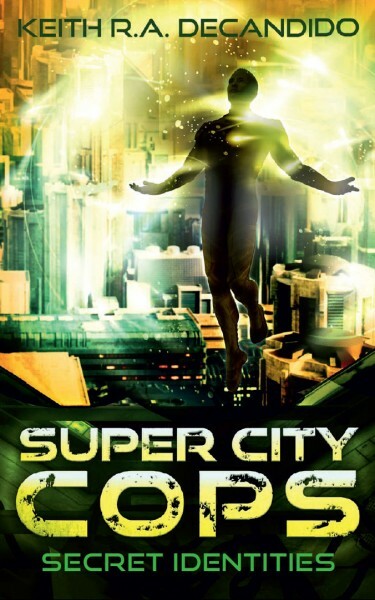 Bastei Entertainment -- the same publishers who did the Heroes Reborn novellas last year -- are releasing three new Super City Cops novellas: Avenging Amethyst, Undercover Blues, and Secret Identities, to be released as eBooks in December, January, and February. 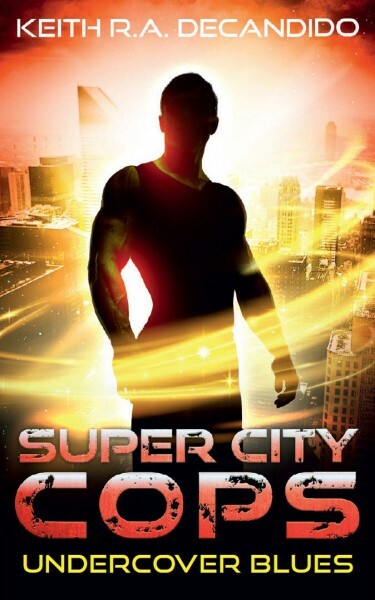 The great metropolis of Super City is the home of dozens of costumed heroes -- the Terrific Trio, the Bruiser, the Superlative Six, the Cowboy, and many more -- who do battle against the super-villains who terrorize the citizenry. 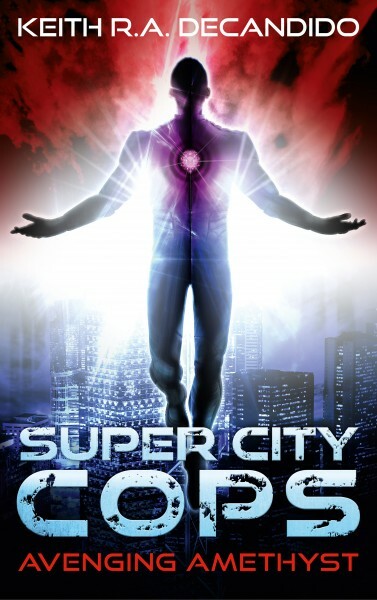 When the heroes are done punching out the villains, it's left to the stalwart men and women of the Super City Police Department to restrain them, arrest them, and hope that this time there's enough evidence to actually convict them. Detective Elias Vondelikos has spent months working undercover to infiltrate the organization of Apollo, one of Super City's most dangerous and insane supervillains. But working for crazy bad guy has its risks, and the job the undercover cop was hired for turns vicious in a hurry. Meanwhile, Detectives Kristin Milewski and Jorge Alvarado follow a trail of dead bodies left by the new Amethyst-whose methods are far more brutal than the average superhero, and whose true identity will rock the SCPD to its core! Lieutenant Therese Zimmerman's life is turned upside down when a badly injured Spectacular Man stumbles into her apartment and reveals himself to be her on-again, off-again boyfriend, philanthropist Marc McLean.